I don't make resolutions but I sometimes plan to do something better or more than the year before. 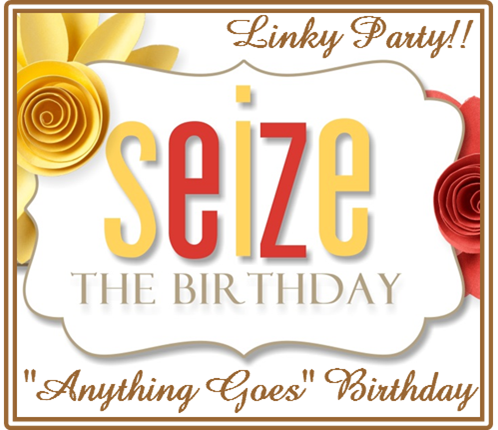 One thing I want to do is play at Seize the Birthday more often. I do make a LOT of birthday cards but don't think to add them to their gallery. So here's my first card of the new year for STB. Their twist is confetti so I filled my card with it. I inked the paper with Distress Inks, clear heat embossed the confetti and streamers and went over it all with Black Soot. I'm so glad you dropped by. Please leave a comment so I know you were here. This is a party on a card! Your colors and design are both festive and full of fun! Forgot to tell you those butterfly & doily papers I used are from an old MME collection. As always your card is THE perfect take on the challenge!! I love how bright and festive it is! This is a party worthy of celebration, Bobby! That's a good resolution, Bobby! I forget to add cards there too. I love the brightly colored confetti that really is striking with the black background! Love how you did the sentiment too! This is a gorgeous birthday card, Bobby! So striking! Yay!!! So glad to hear that you'll play along more often at Seize the Birthday, Bobby :) !!! The technique you used creates an awesome background! Love the sentiment in rainbow colors! Thank you so much for joining us at Seize the Birthday!